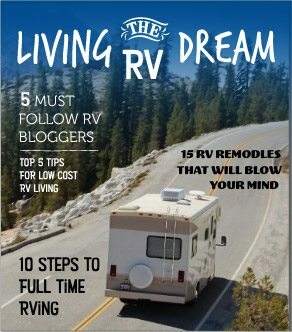 Does the price of RVs have you down? 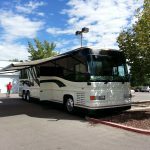 Are you looking for an RV with character? 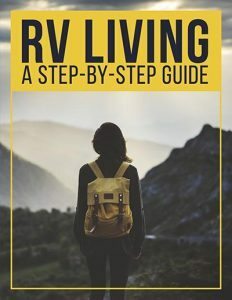 Are you hoping to find the right RV without spending an arm and a leg? 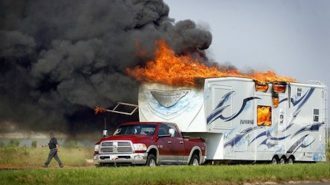 If so, you may want to consider joining in the hot trend of purchasing a retro RV. 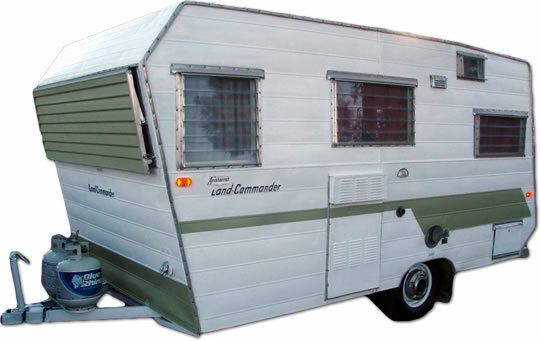 Any RV built before the 1980s is considered to be a retro RV. 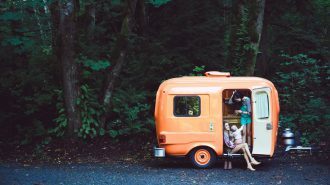 Vintage RVs are built before the 1970’s, however, the terms are often used interchangeably. 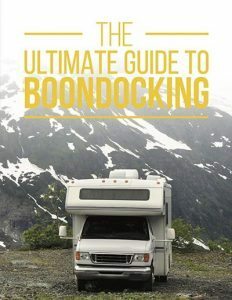 Since the early 1930s thousands of American have been discovered the joy of the open road in an RV. Many of these same RVs are still on the road today. From classic Canned Ham trailers, to Airstreams and 1970’s Winnebagos, there is a wide variety of retro and vintage RVs available today. Let’s take a look at some of the most popular retro RV and where you can buy or rent them. Travel trailers date back to the early 1920s, and range in size from 12 feet to nearly 40. Retro trailers are a true piece of Americana. The popularity of the Model T was exploding in the 1920s, and the freedom to pull your home behind you was a dream come true for many Americans. By the 1950s travel trailers were everywhere, and their popularity is still growing today. Here are a few of my favorite travel retro trailers. 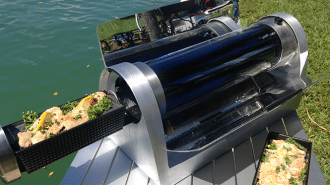 Shasta Trailer – The Shasta, “canned ham” shape is easily recognizable. In fact the best selling “winged wonder” from the 1960s is now being reproduced for today’s RVer. Can’t find a vintage Shasta? Check your local vintage dealer. They can show you the newest version which still boasts the style of the original. 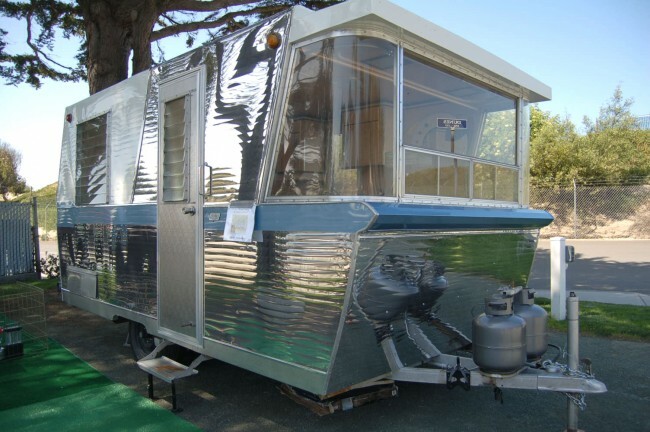 The Shasta canned ham is one of the most collectible vintage trailers to convert into a “glamping trailer.” The Shasta seems to invite the shabby chic remake. Airstream – The Airstream trailer is the “king daddy” of all vintage trailers. 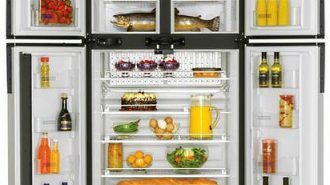 Made of aluminum, these classic, rounded bodies are popping up everywhere with their lasting popularity. Airstream started producing trailers in 1936 and continues to produce new ones today. Looking for a vintage airstream? Check eBay for a variety of styles and prices. Airstreams are one of the few travel trailers that hold their value. Avion – Avions were introduced in the late 1950s and were some of the highest quality trailers ever built. 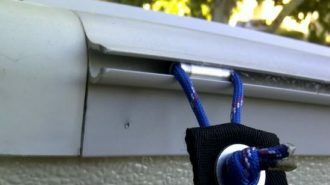 They feature an aluminum shell that was treated with fiberglass insulation. The floors were high quality hardwood, and the kitchens offered custom dove-tailed cabinetry. In 1963 Avion changed their skin to offer a more durable satin finish. Prior to the update the aluminum skin had to be polished to a shiny finish. 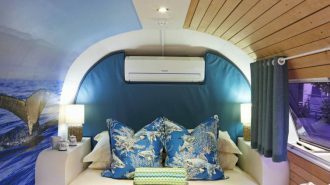 Aristocrat – When you think of a classic 60s or 70s travel trailer, the one that most often comes to mind is the Aristocrat. Made from 1956 to 1974, these vintage trailers offered the option of metal wheels. The wheels could lower the trailer so you could easily store it in your own garage. The Aristocrat was truly a family camper. Many were made, but only a few are found in good shape today. If you come across an Aristocrat is good original condition… grab it! Spartan – With a name like Spartan you know it’s got to be good. These trailers were made from just after WWII up until 1961. Originally the company was owned by The Getty family and the trailers were considered a luxurious build. The Getty’s built their travel trailer just like their aircrafts, and while the units were expensive, they were the best you could buy. If you want that “private jet” feeling on wheels, the Spartan is the vintage trailer for you. 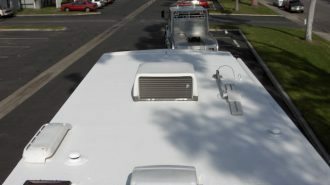 Airfloat – The Airfloat travel trailer was unique because it featured round port holes for windows along with a rounded aluminum body. They were made from 1930 to 1957 and were dearly loved. 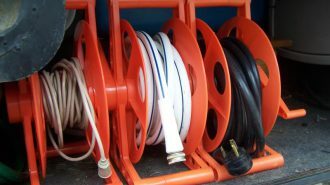 If you buy an Airfloat today you are in good company! Everyone loves the little round windows. VW Camper Bus – In the 1960s Volkswagen was ready for a fresh new American market. They found it with the introduction of the VW Westfalia camper in 1967. This rectangular van with a pop up tent top revolutionized the camping industry and became an instant cult classic. Winnebago Brave – The Winnie Brave was so popular from 1966 through the early 1980s that the company has just recreated it in 2015. In 1977 alone over 100,000 “Minne” Winnie’s (As they are affectionately known) were produced! The original price? A mere $4,000. Dodge Travco – In the 1960s and 70s there was one RV that seemed to be everywhere! It was the Dodge Travco. 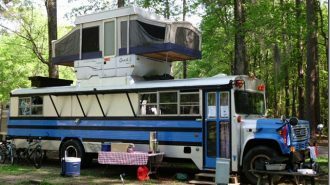 This Motorhome featured a fiberglass body on a Dodge truck chassis and gave its owners a feeling of home. Sizes ranged from 21 to 27 feet in length, and literally tens of thousands were sold. GMC Motorhome – from 1973 to 78 GMC produced just under 13,000 of these popular Motorhomes. The GMC featured futuristic technology such as air bag leveling and tandem wheels in place of a rear axle. The units were built with a fiberglass shell over all aluminum framing and were usually only 26 feet long. The engine was a powerful V8 Oldsmobile Toronado and the cab offered air conditioning and a 8 track sound system! The Newell – L.K. Newell began custom building luxury Motorhomes in the late 1960’s. By 1970. The Newell company created the world’s first Class A Motorhome with a rear engine. By 1972 Newell produced the first diesel pusher, changing the industry forever. Now that you recognize some of the popular retro RVs,let’s take a look at the restoration process. 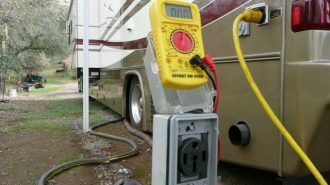 You have two choices when it comes to RV restoration. You can do it yourself, or you can hire someone to do it for you. 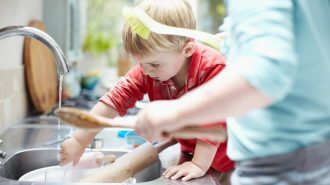 The first will cost less, but take way more time. The last will cost more, but arrive ready to roll. 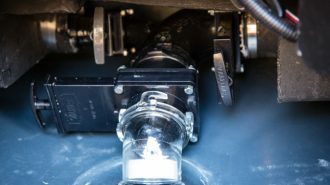 Remember, restoring a vintage RV is a process and requires time and experience. 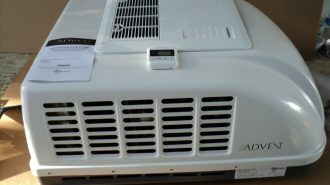 Shasta Airflyte – Shasta knows a great idea when they see it. The reissue of their classic 1961 Airflyte was a stroke of brilliance. The new version is true to the original the 16′ travel trailer with those iconic wings. It’s available in the three 1961 colors: matador red, seafoam green and butternut yellow. The 2015 re-issue has some updates for the modern traveler such as a bathroom, air conditioner, sound system, and LED lights. 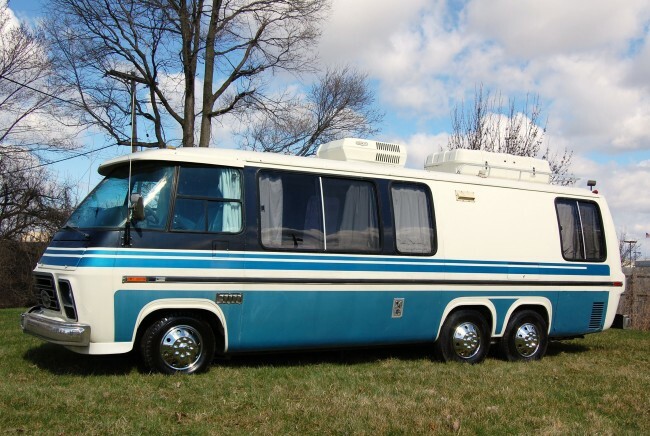 Winnebago Brave – In the late 60s and 70s everyone knew and loved the Winne Brave. Now it’s classic boxy body is back for more adventure and fun. The 2015 Brave screams retro from the moment you enter the doors, yet it has a whole lot of updates that the modern family will love. The versatile floorplan offers a studio loft bed that lowers from the ceiling for additional sleeping capacity. It also offers a powered patio awning and a small slide out for added space! Paradise Coast – Paradise goes where no manufacturer has gone before. They are creating all new versions of their 1940s, 50s and 60′ trailers. Their first trailer is the Silver Beach 183 RKB. While their website says little about the unit, their customer service department would love to tell you all about it! Dub Box – If you love the VW van body, then this trailer is for you. Created to look like a cousin to the VW camper van, this 100% Fiberglass trailer is perfect for all your tailgating and camping needs. 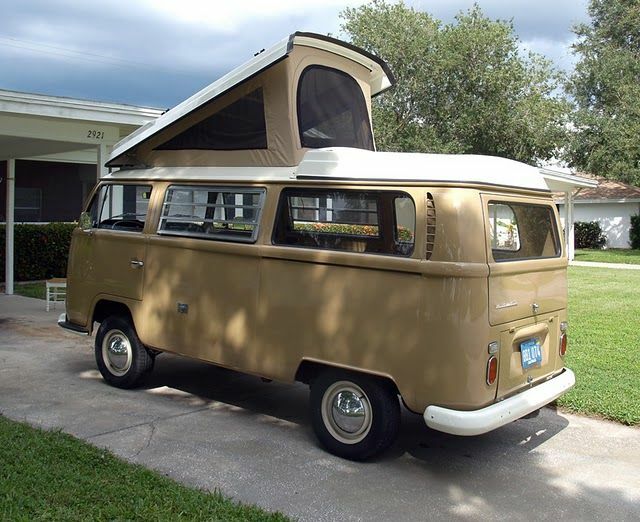 The Dub Box comes in several models starting from $8,000 for their smallest camper. Want to customize? No problem. Want a pop up camping roof? No problem. This creative team of engineers is ready to build the retro rig of your dreams. Tiny Trailer- From the 5′ sleeper pod to the [email protected] Max, the Little Guy Trailer company has a ton of unique, vintage style options available at an affordable price. Their popular [email protected] trailer combines a retro feel with bright sunny colors and flexible towing options. These trailers start at $15,000. Some include a tiny bathroom, while others offer only a porta-potty. If your wallet says “wait” you may want to consider renting a retro RV for your next vacation. 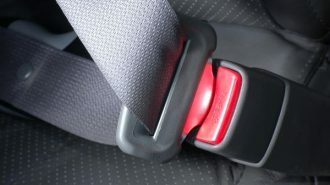 A vehicle is not required since many trailers are already set up and ready for occupancy. Here are a few places you can take your vacation and enjoy a vintage RV at the same time. Shooting Star Drive In – Do you love the movies? If so, this vacation package is for you. Feel like a Hollywood star when renting one of these custom Airstreams parked at this old drive-in movie theater. The Shooting Star RV Resort is just off scenic byway 12 in Utah. While visiting you can enjoy the outdoor movie theater offering 1960’s convertible seats and a big outdoor screen! Stay 6 nights and your 7th night is free! Kate’s Lazy Desert– Located in the High Desert of California just six miles from the Joshua Tree National Park lies Kate’s Lazy Desert, a vintage trailer motel. The key word at Kate’s is funky. Each of the airstreams features wild colors and designs to reflect a variety of locations from Alaska to Hawaii, all in the middle of the desert. Each unit sleeps two people and includes a hammock, a tiny BBQ and WiFi in the wilderness (for an additional fee). This is an adults only park, so grab your sweetie and plan the perfect getaway. 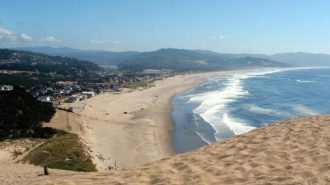 Auto Camp – Auto Camps are opening up and down the California coast. The first one is located in Santa Barbara. 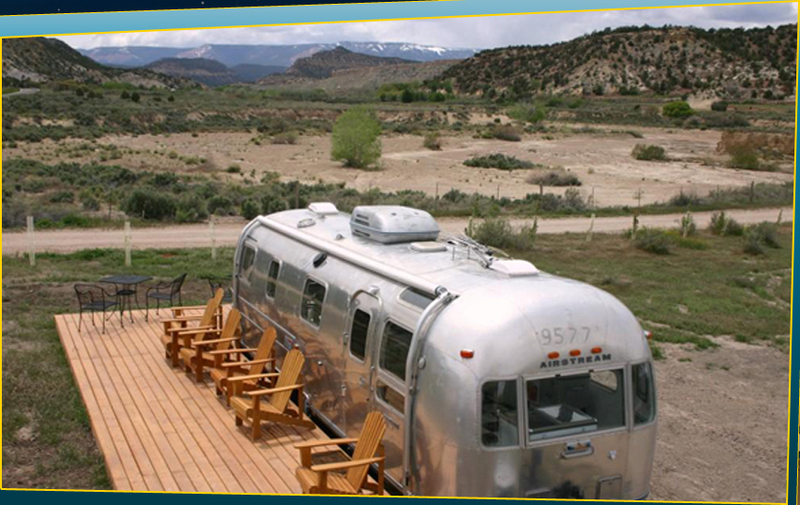 It offers luxurious amenities for the family that wants to experience Airstream chic. 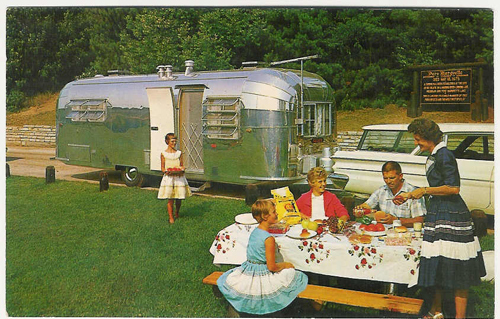 Units include two 1959 Airstreams (one which is perfect for a family), along with two from the 1960s, and one from 1972. Each unit has been beautifully updated to give a fresh, modern feel in a spectacular location. Air BNB Caravan all over the world without ever moving the RV. Air BnB offers unique lodging for rent from independent owners. Many offer the “flash back” experience at an affordable price. You can glamp in Oakland, CA, rent a teardrop in France, or get hip in a 50’s rig in the Catskills. The choice is up to you! Prices start at $57 U.S.D. The Vintages @ Wine Country RV – This park was recently featured on the Flippin’ RVs TV show, and for good reason. Few parks offer such a variety of vintage trailers for rent. From a 1947 Spartan, to a new 2014 Airstreams, and/or custom built 2015 Retro Flyte Camp Neutron’s, the variety is almost overwhelming. Your unit comes with custom terry cloth robes, comfy mattresses, hotel linens, a propane grill, and a retro bicycle to ride around the 14 acre park. Did I mention this park is in the heart of the Oregon Wine country? 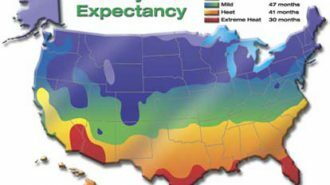 Vineyards are literally knocking on your door. 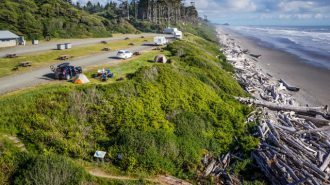 This is one RV park you WON’T easily forget. So, what do you think? 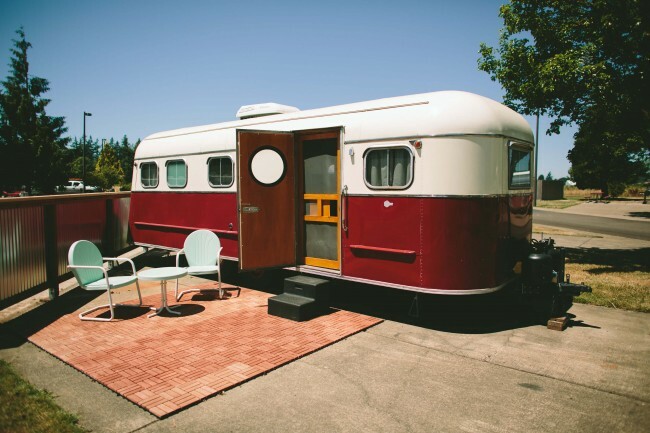 Are you ready to hop on the retro RV trend? Share in the comment box below and tell us…. 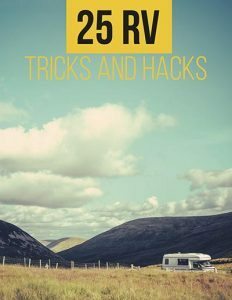 Would you restore a retro RV? Would you buy a new retro style RV? 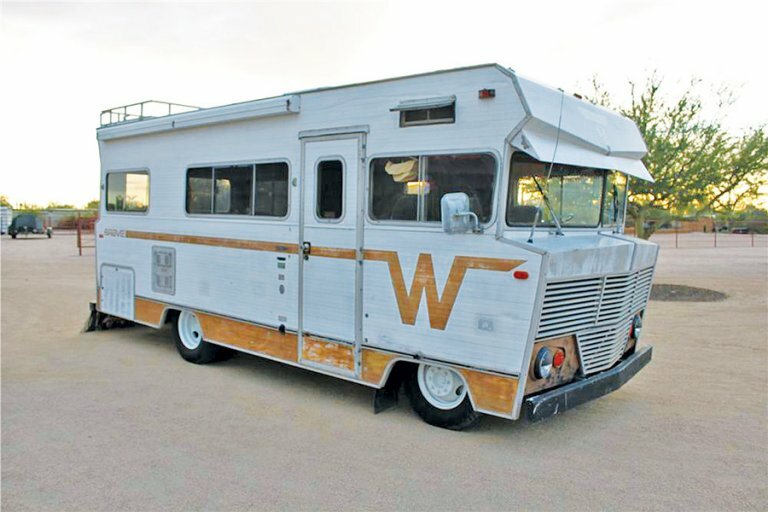 Would you buy a professionally restored retro RV? Would you vacation in a retro RV, and if so where? Did you enjoy this article? If so, please share it with your friends. Tweet it, pin it, share it, like it and email it to friends. Thanks!